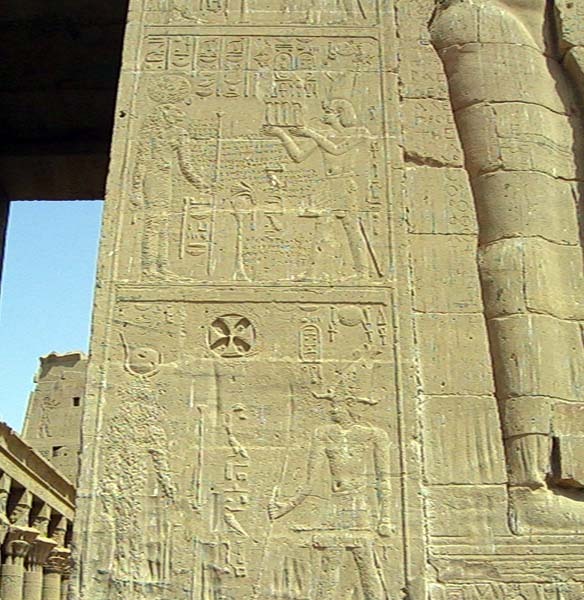 Professors Michael Fuller and Neathery Fuller visited Philae in 2007. 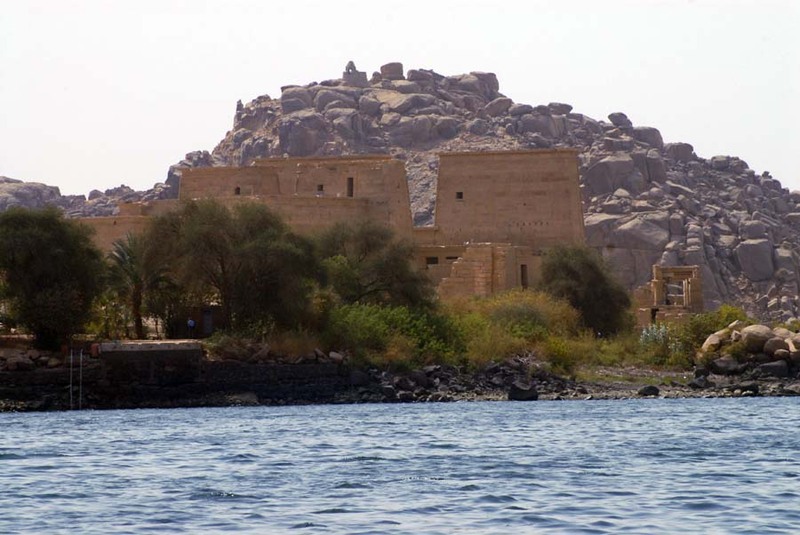 View of the temple from a shuttle boat. 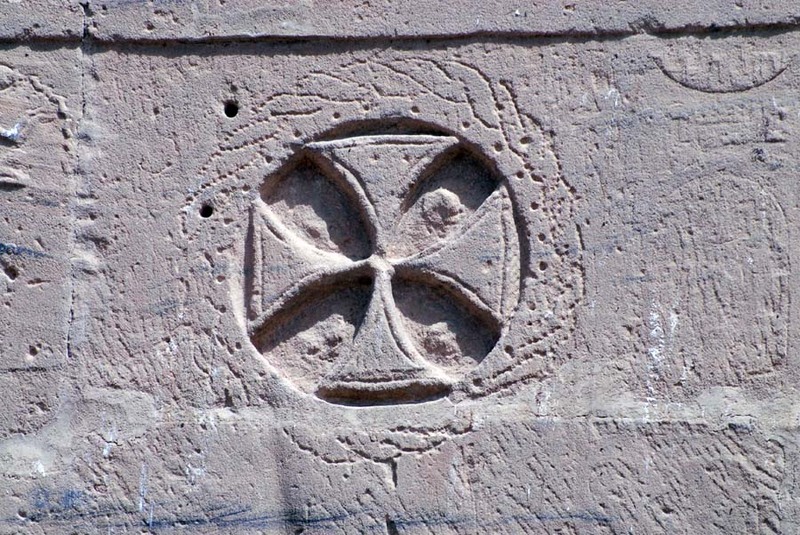 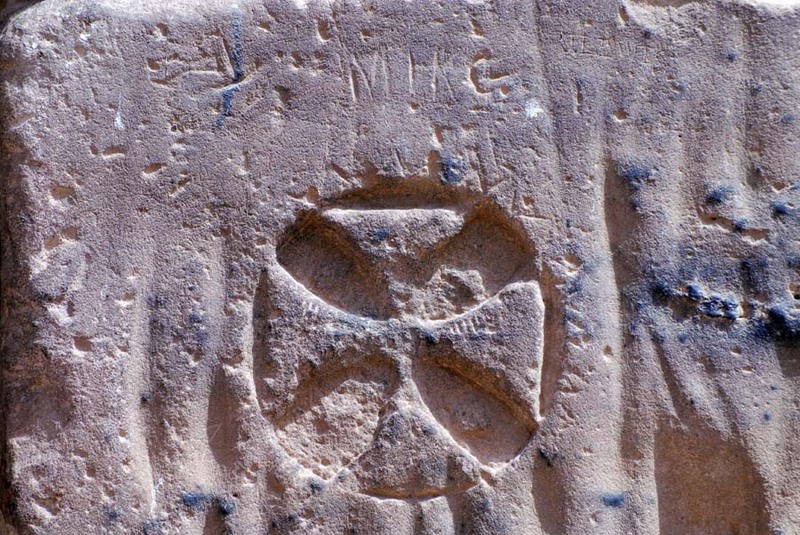 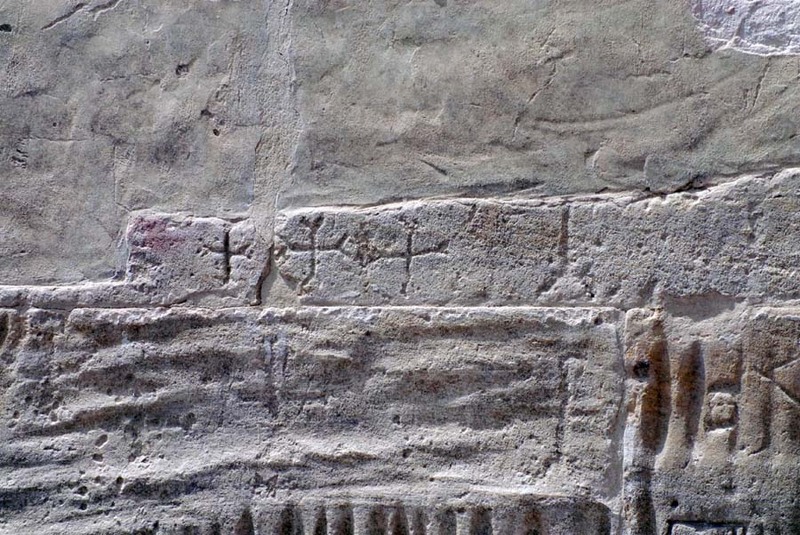 Coptic cross on a pylon. 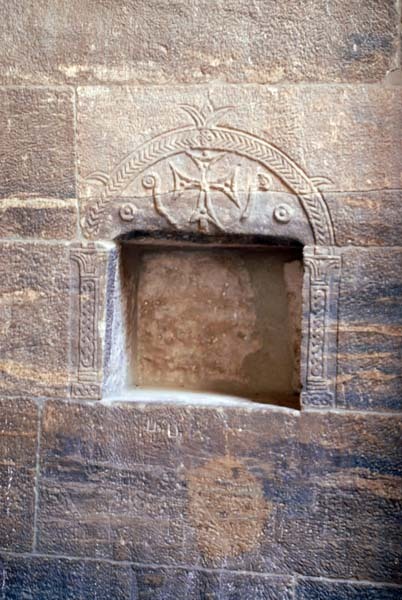 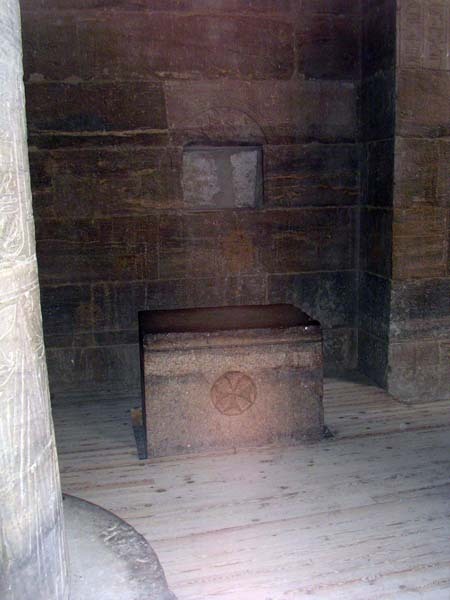 Coptic Cross and niche associated with the altar. 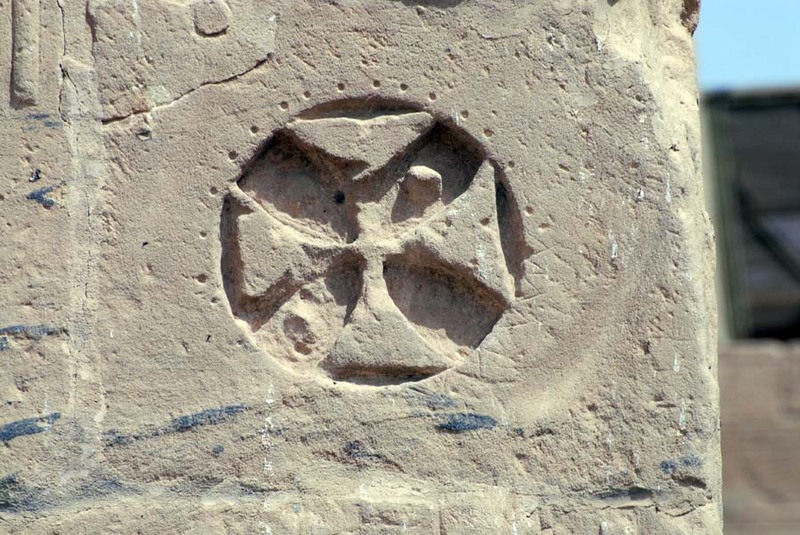 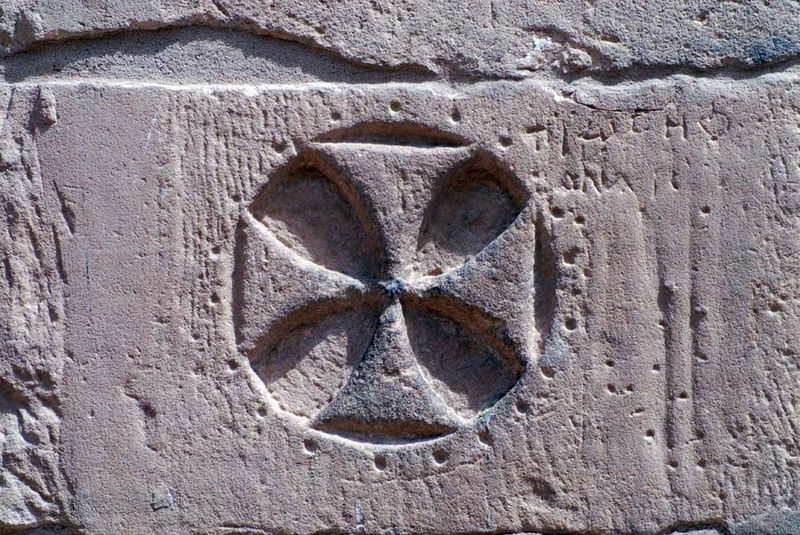 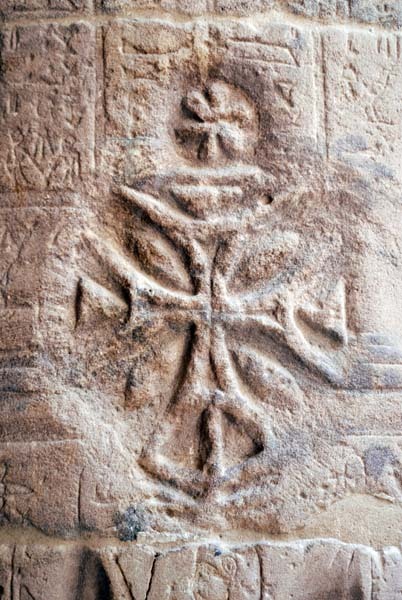 Coptic Cross with rays . 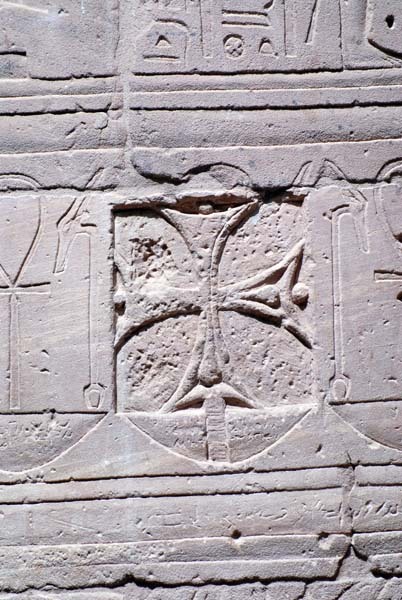 Special thanks to Neathery Fuller, Amira Fuller and to Dr. Morad Nasr (our guide to the sites).